New Jersey has a number of benefits for CBD buyers: first, there are plenty of quality CBD oil shops in-state; second, there are plenty of others nearby. Below, we’ve listed where to buy the best CBD products in Elizabeth and Turnersville, plus a few more in nearby Philadelphia and New York City. As the use of CBD for its health benefits grows in New Jersey, you should soon be able to purchase products in cities like Newark, Jersey City, Paterson, Elizabeth and Edison. You should also be able to find good CBD shops soon in places like Princeton, Woodbridge Township, Lakewood Township, Toms River, Hamilton Township, Trenton and Camden. South Jersey should also get some stores selling CBD oil, especially in towns like Cherry Hill, Vineland, Millville, Deptford and Atlantic City. Below, we’ve put together a list of the best shops where CBD is currently available. Holy Smokes Vape & Smoke Shop (168 Elmora Ave, Elizabeth, NJ 07202) has a 4.5-star rating based on more than 20 reviews. Established in 2009, Holy Smokes offers a wide variety of premium CBD oil products and some of the best CBD prices in the Tri-State Area. (Make sure to check Yelp for online deals.) In addition to CBD, customers will find Kratom, e-juices, vapes, starter kits, concentrates, shisha, and more. Customer service is another major point of emphasis at Holy Smokes: customers are encouraged to explore personal tastes and interests, so feel free to ask the knowledgeable staff about any CBD product you find in the store —— or have them find something for you. (It’s easy to get lost in this collection.) Open seven days a week; 10AM-10PM. In Turnersville, family-owned Vapormaker (5400 N Black Horse Pike, Turnersville, NJ 08012) boasts a perfect 5-star rating, with reviewers highlighting the shop’s expert staff, affordable prices, and full inventory of the best CBD oils available on the market; plus brandname e-liquids, e-juices, vapes, accessories, and much more. All that said: Vapormaker’s priority is customer service, and employees are eager to help every customer, from CBD novices to experienced CBD users. Open seven days a week; Monday-Saturday 10AM-9PM, Sunday 10AM-4PM. Vape 93 (6 E Holly Ave, Pitman, NJ 08071) is conveniently located near the intersection of 624 and North Broadway. Established in 2013, the two-story shop offers the highest-grade CBD oils on the market, CBD oral sprays, 200 available e-juice flavors (mixable with CBD), and a huge variety of other products — lotions, incense, essential oils, and much. The shop also doubles as a local art gallery, and customers are encouraged to browse the collection. Open Monday through Saturday 12:30PM-8:30PM; Tuesday 5PM-9PM. Right in the heart of downtown Phoenixville (a suburb of Philadelphia), Phoenixville Smoke Shop (245 Bridge St, Phoenixville, PA 19460) has a wide range of hemp CBD oil products, vapes, starter kits, and a live glassblowing show. Customers note the store’s knowledgeable and friendly staff, wall-to-wall selection, and up-to-date brandname CBD oils. Open seven days a week; 10AM-9PM on weekdays and Sunday, 10AM-10PM on Friday and Saturday. New Jersey residents have the benefit of not being too far from NYC. 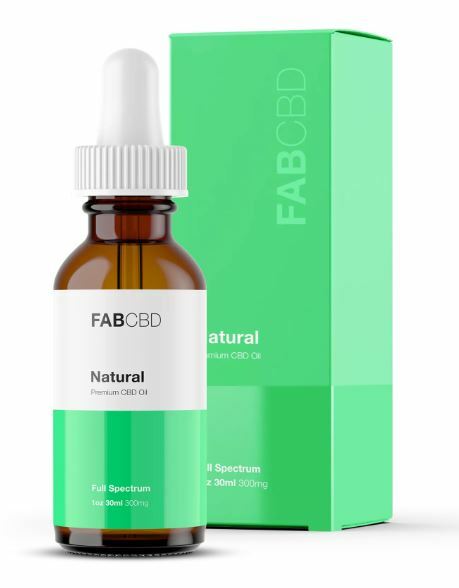 In Manhattan, the Lower East Side and East Village has several top-rated CBD shops, starting with the five-star rated East Village Smoke Shop (177 1st Ave, New York, NY 10003), which offers some of the cheapest CBD oil in town. Plus with any vaporizer purchase, you’ll receive a grinder for free. A few blocks down 2nd Avenue, Cloud99 Vapes (50 2nd Ave, New York, NY 10003) is just above the Houston F-Train stop and is another affordable shop selling CBD oils, 220 juice flavors, mods, tanks, coils and accessories. Reviewers especially highlight the customer service and product selection. In Brooklyn, make sure to check out Craft Beer & Smoke Shop (779 Grand St, Brooklyn, NY 11211) is the highest-rated outlet in all of New York, with a perfect 5-star rating based on nearly 50 reviews; Graham Vape and Cigar (354 Graham Ave, Brooklyn, NY 11211), just around the corner, which offers a wide range of products; and Brooklyn Smoke Shop (198 Flatbush Ave, Brooklyn, NY 11217), with a 4.5-star rating based on over 30 reviews.